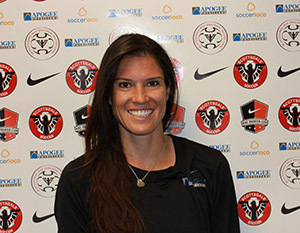 Originally from Taos, New Mexico, Ashley has been coaching for the past 9 years. She has a Bachelors degree in Sports Management and a minor in Communications from Gonzaga University. Ashley played and started all four year at Gonzaga for the Womens soccer team. She is the third all time leading goal scorer for Gonzaga. She also played 3 seasons with the Womens Sounders semi-professional team in Seattle, WA.